Enjoy the 2018 Ocala Arts Festival! 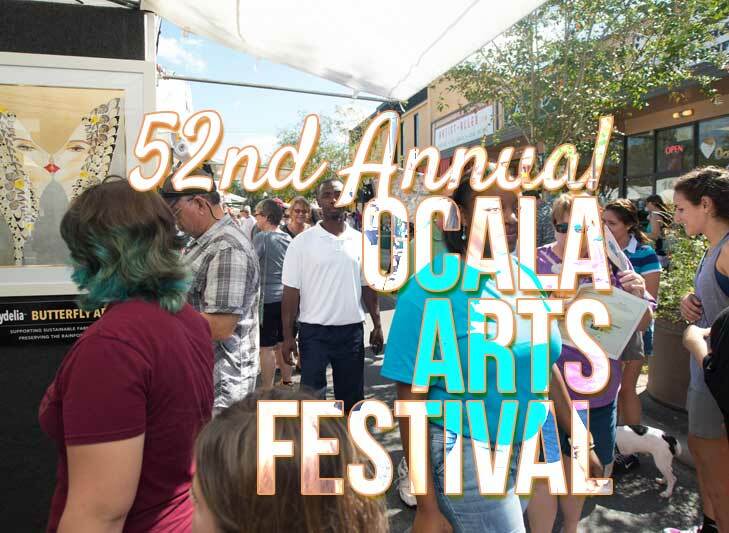 The Ocala Arts festival, now in its 52 year, is a fun, family event which draws more than 25,000 visitors to the beautiful historic district in downtown Ocala. You’ll be able to browse original art from artists & craftsmen. Two stages of live music, food trucks, a children’s activities area, and so much more! The 52nd Annual Ocala Arts Festival is free. The Ocala Arts Festival has been voted as one of the most loved events in the area. Artists are chosen by an independent panel of four judges. There’ll be around 155 artists from across the United States , showcasing their art. Formed in 1972 with a simple mission; to promote the appreciation of the fine arts and to enhance art education within our community. FAFO continues to support arts education through scholarships and various community programs. Learn more about the festival here. The Art Festival is produced by an all-volunteer board.